If it’s not on this page try searching for it! What’s my experience going to be like? Your first visit is free! And we created a helpful list of questions that you can utilize at your first appointment. We want to answer your questions. Take a look at common questions below or feel free to contact us directly. We believe that paying for treatment shouldn’t get in the way of an amazing smile. We make financing treatment truly affordable. Orthodontics (also referred to as dentofacial orthopedics) is a specialized form of dentistry, focusing on the diagnosis, prevention, and therapy of dental and facial abnormalities. That’s a tough question because no two cases are alike. We want to focus on quality and not speed. However, most comprehensive cases are completed in 18 to 22 months in our office. Obviously, depending on things like initial difficulty and patient compliance, some cases will take significantly less time and some will take a bit longer. What Are Extraction & Non-extraction treatment? Will my braces interfere with my school activities? A large portion of our practice is devoted to adult orthodontic care. In fact, we have several patients in their 50s, 60s, and even 70s! It is usually difficult for you to determine if orthodontic treatment is necessary because there are many problems that can occur even though the front teeth look straight. What are Symptoms Of Orthodontic Needs? If you answered yes to any of these questions, then orthodontic treatment can help. Two-phase treatment is not a clever way for orthodontists to get you into two sets of braces, we promise! Two-phase treatment simply means that there will be two separate parts to your orthodontic treatment; however, this is not double the cost and double the time. Though we try to avoid this when possible, in many cases, it is needed for the best end result. The first phase of treatment, Phase I, is aimed at intercepting a moderate or severe orthodontic problem early in order to reduce the severity or eliminate it. These problems most often include crossbites (of the front or back teeth) and crowding. Phase I treatment takes advantage of the early growth spurt and turns a difficult orthodontic problem into a more manageable one. This can also greatly help self-confidence in the young child who is being teased or embarrassed by the position of his or her teeth. This phase of treatment usually begins while the permanent front teeth are erupting (typically around the age of 8-9). We usually recommend this treatment when waiting could cause orthodontic problems or social problems to worsen. IF PHASE 1 treatment IS RECOMMENDED, CAN I just wait? How can I take care of my teeth if I'm wearing braces? Do I still need dental checkups every? Yes! In fact, it’s even more important that patients receiving orthodontic treatment visit their dentist regularly. With braces, food may be caught in places that your toothbrush can’t reach. This causes bacteria to build up and can lead to cavities, gingivitis, and gum disease. Your dentist will work closely with us to make sure that your teeth stay clean and healthy while wearing braces. Your first visit with Oltjen Orthodontics is obligation-free and of course… complimentary! 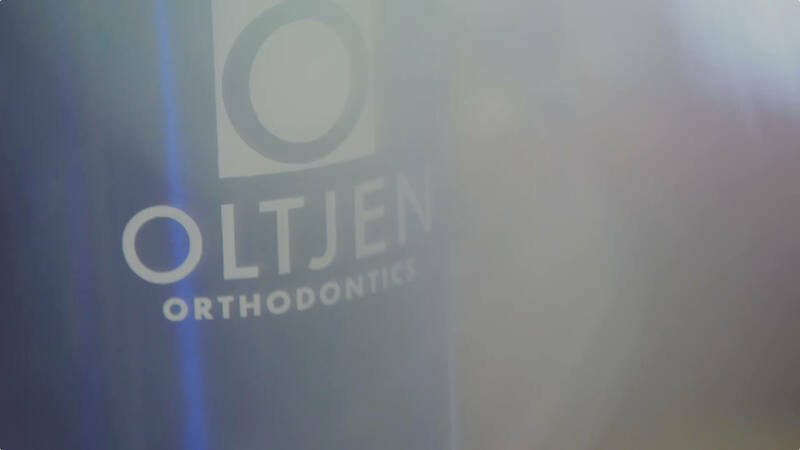 Dr. Oltjen is committed to finding the optimal time to begin orthodontics on each patient. Your first visit to Oltjen Orthodontics is complimentary! So are all observation appointments leading up to treatment. We are committed to finding the optimal time to begin orthodontics for all our patients to save you time and save you money. During your first visit, diagnostic records are made to determine the best course of treatment. Complete diagnostic records typically include medical/dental history, clinical examination, photos of the patient’s face and teeth, and X-rays. The information provided from your diagnostic records is what will be used to develop your custom treatment plan. These records are also helpful in tracking and comparing the progress of your treatment. After Dr. Oltjen has evaluated your records, we will discuss your treatment with you in detail, including the cost and estimated timeline. If you are unsure what kinds of questions to ask, we’ve created a simple “Cheat Sheet” of questions you can download here. This will also give you a better idea of the kinds of things we will cover on your first consult. We want you have a great experience and superior results at Oltjen Orthodontics. What’s my experience going to be like? Need more Answers? What are the costs for braces? We want to answer your questions. Take a look at our answers or give us a call today at (913) 764-4333.